A council threatened with court action by the government over the publication of its newsletter has voted to challenge the decision. As previously reported on HTFP the Royal Borough of Greenwich has been directed by Communities Secretary Eric Pickles to reduce the frequency of its weekly publication Greenwich Time to no more than quarterly. However, having taken legal advice, the council now believes it has a “strong case” for the Department for Communities and Local Government’s decision to be taken to judicial review. The order was first issued in January, with the authority being given a deadline of 31 March to adhere. Earlier this month the authorities at Hackney, Newham and Waltham Forest, each of which prints a fortnightly title, have been given until the end of April to comply with the same directive. The decision to challenge DCLG over the matter was made by Greenwich’s cabinet last week. Council leader Denise Hyland said: “This is about local democracy and being able to allow all of our residents the same opportunity to access essential information about issues directly concerning them – so that everyone in the borough has the chance to take part in a dialogue on important local matters. “Our decision is driven by how we can best serve our residents and save money on their behalf, at a time when our budgets are severely threatened by cuts. “We are being told by Government to find whatever savings we can then it directs us to spend the equivalent of £2.31 more per household in the borough – making it even harder for us to keep freezing council tax and protect essential services. “The government also wants us to place information and statutory notices in local newspapers that don’t deliver across the whole of the borough when Greenwich Time does, so we want to continue producing it weekly to tell every household in the borough about jobs and training opportunities, council housing as well as the statutory information like planning and highways decisions that everyone should have equal access to. Local Government Minister Kris Hopkins said: “This Government is committed to protecting an independent free local press yet the frequency which the Royal Borough of Greenwich publishes its own council newspaper can push out and undermine that independent press. Another waste of taxpayers’ money then. Wonder how much this bonfire of the vanities is going to cost us? publish and be damned. 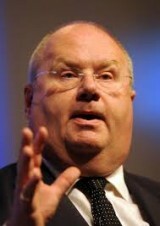 It up to the council tax payers to boot out the council at election tike if they don’t like not the well-fed Pickles. A good well-staffed local paper knowing its patch regularly attending meetings and keeping its nose to the ground will not be afraid of a council publication. A crap one will. Back when we had a well-funded local press run by people who cared about local papers, I would fully have backed Pickles. But now, when huge swathes of it (but not all, I hasten to add) are owned by cash-hungry shysters who haven’t a clue about anything other than profits and who don’t give a toss about their local communities, I can see Greenwich Council’s point. Localhack has it spot-on. Good papers have nothing to fear. It would be worthwhile HTFP looking into how many regional newspaper companies actually make money undertaking design, editing and production work for council newspapers – because rather than being hit by council free-sheets, some companies are doing well out of them.